Lance is a native of Springfield, Mo and a graduate of the United States Naval Academy. He has 20 years of experience in business and finance and completed post graduate work in Business Management through Cornell University. He is a member of the Nixa Chamber of Commerce and Springfield Area Chamber of Commerce where he participates in both the Governmental Relations and Voice of Business committees. 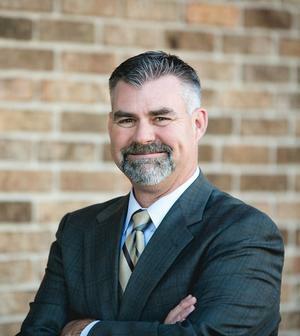 He also serves on the Board of Directors of the Boys and Girls Club and Heart of the Ozarks Sertoma Club, the latter of which he is currently the acting President. He volunteers his time chairing the Heart of the Ozarks Sertoma Oktoberfest and participates in the Invest to Invest and Steak and Steak committee for the Boys and Girls Club. He and his wife Kay have 3 girls, Kennedy (18), Brooklyn (10), and Bailee (8), and one boy Schnoodle named Charlie. They live in Fremont Hills, MO.